Jaeden loves to help daddy wash the car. 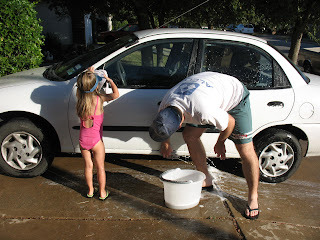 They had a good time but I think Jaeden got more water and soap on her and daddy than the car. She's the best little helper though! !